In Lion's Head, on the Bruce Trail, we stayed at a lovely B&B called "The Cat's Pajamas." 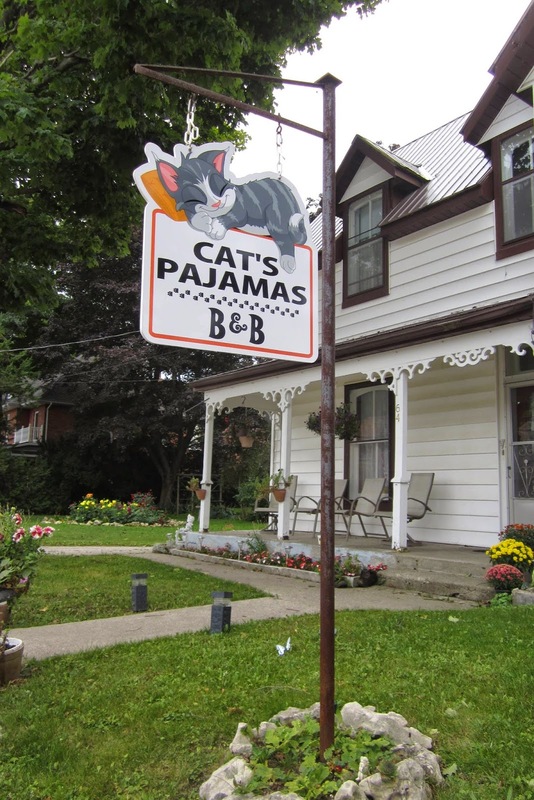 Located in a delightful old house and maintained by a wonderful hostess, who fed and entertained us, The Cat's Pajamas is one of several B&Bs in the area, listed on the B&B network. Lion's Head also has a sand beach, a marina, the Bruce Trail, a wonderful old inn, The Lion's Head Inn, and a number of other amenities. We couldn't get into our room, however, until 6:00pm because the owner of the B&B also drove the local school bus and given that her run was up to Tobermory and back, with lots of stops along the way, making a 6:00pm opening was a challenge for her. Hence, we had plenty of time to explore. 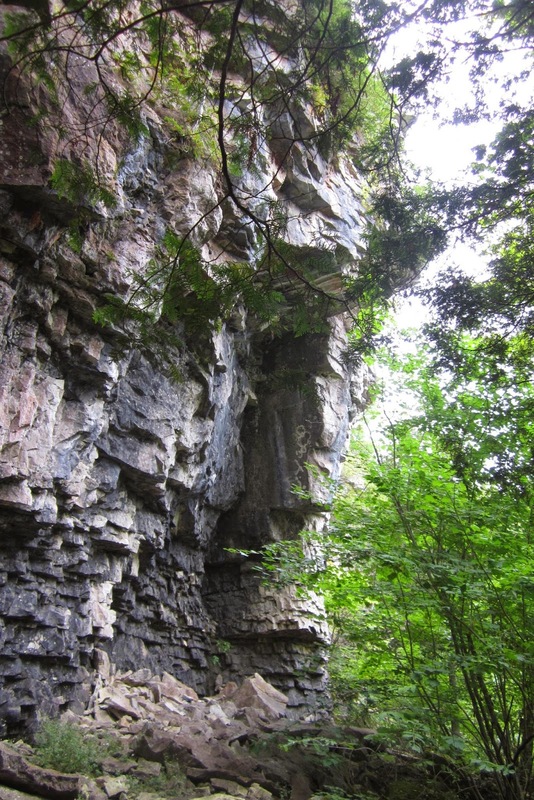 These are some of the caves and grottos that are quite numerous on this part of the trail. 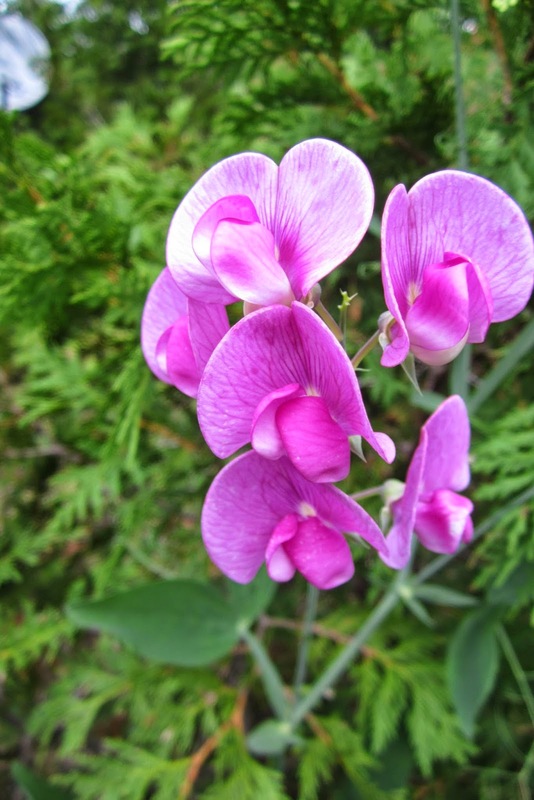 Wild Sweet Peas to soften the rocky landscape. The Bruce Peninsula is a really pretty part of the country. 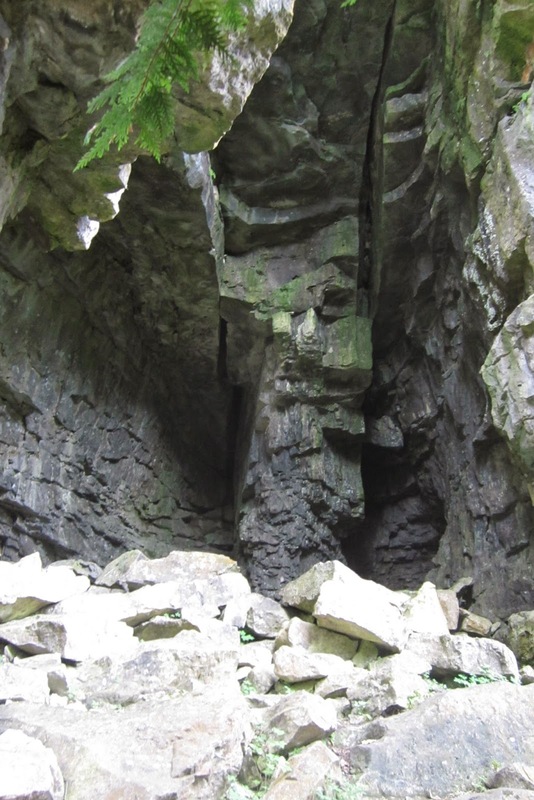 The rugged but accessible walks along the Bruce Trail make it particularly appealing. Here you get a mix of wilderness, tamed by the challenging but carefully blazed hiking trails, and civility, afforded by the many small communities dotted along the way, that are delighted to have you visit! !